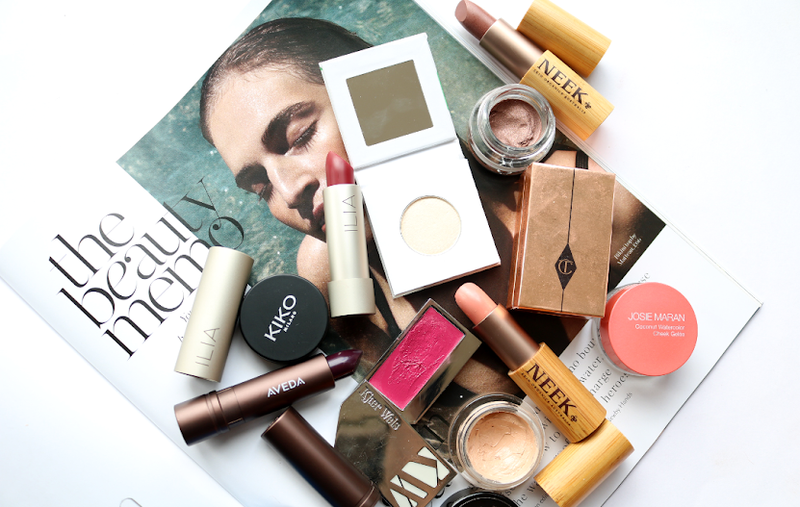 I'm back from my holiday and ready to celebrate the rest of Organic Beauty Week with a special edit of features showcasing some of my favourite organic beauty products. Today's focus is on Herbfarmacy. 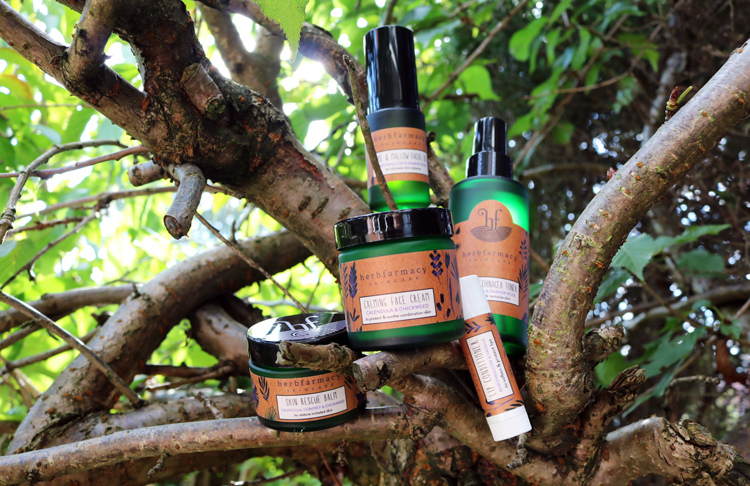 This family run company make all of their own products using Soil Association certified organic ingredients which are grown on their farm in the beautiful Herefordshire hills. 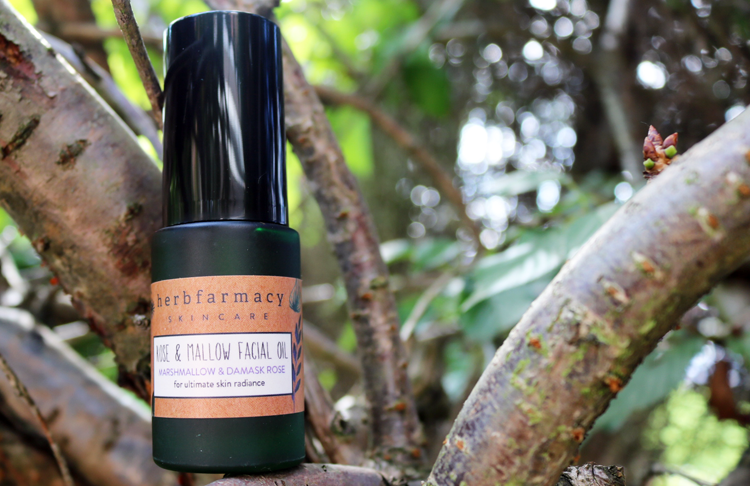 Herbfarmacy have played a part in my skincare routine on and off for the past two years as I tend to gravitate towards to them when my skin is at its most troublesome and feeling extra sensitive. All of their products are very gentle and have excellent soothing qualities, so they're ideal for those of us who have sensitive skin and want clean, natural ingredients in our skincare. 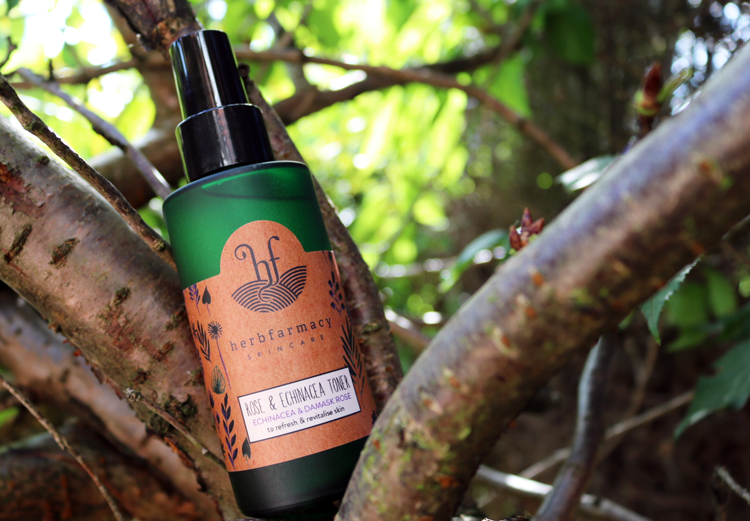 As the brand has grown (they're now available to buy in Europe, Hong Kong and Japan) and to celebrate their ten year anniversary, Herbfarmacy decided to undergo a makeover with their packaging earlier this year. Their products now feature an earthy brown label with a pretty decorative print, wrapped around dark green glass. I really think this change helps to represent how close they are to nature, and gives the brand a much more premium, high-end feel. 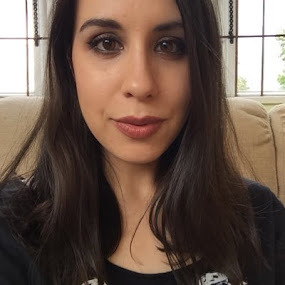 Below are some of their best-selling skincare products which I've been using for about six weeks now. Rosewater toners are something that I always use as a hydrating spritz in my skincare routine, and this one sees Damask Rose blended with Echinacea for a more refreshing and cooling experience. If you've caught too much sun or have dry or sensitive skin, this feels so lovely and helps to prepare the skin for your favourite serum/oil/moisturiser afterwards. 98% organic. For skin that needs extra hydration and wants a boost in the radiance department, Rose & Mallow Facial Oil is a great product to try. Formulated with an expert blend of several oils such as Damask Rose, Marshmallow, Calendula, Evening Primrose, Hempseed and Rosehip to name but a few, this face oil is a truly luxurious treat to use. 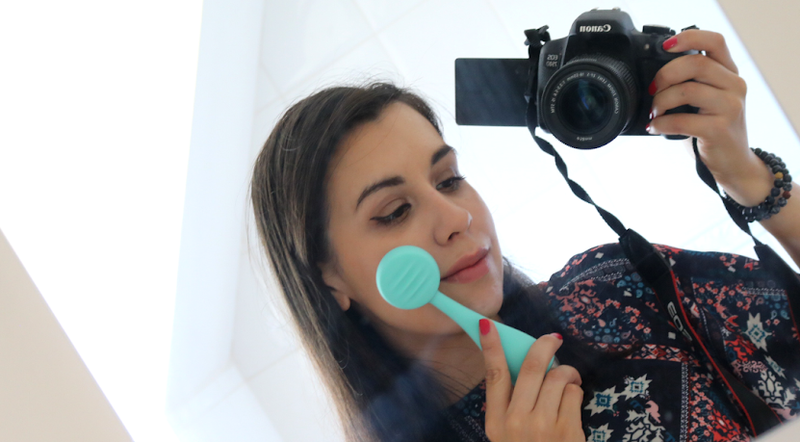 It absorbs quickly and instantly softens the skin, nourishing and moisturising it as you massage it in. It smells incredible (definitely one for all the rose fans out there! ), and like most face oils, you only need the tiniest amount per application meaning that this bottle will last you months. Can be used instead of your regular day or night moisturiser, or as a serum if you have very dry skin. 97% organic. 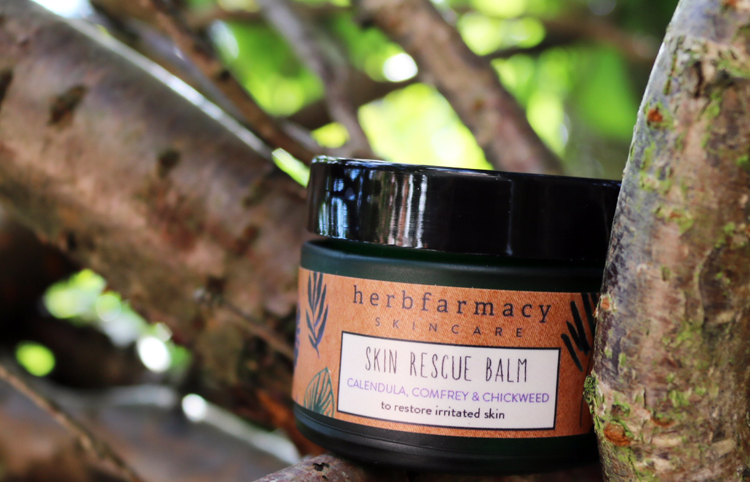 Skin Rescue Balm is probably my all time favourite product from Herbfarmacy and something that I always have to have in my beauty stash. It's a lifesaver for soothing eczema flareups and is equally effective on a range of other skin complaints as well. 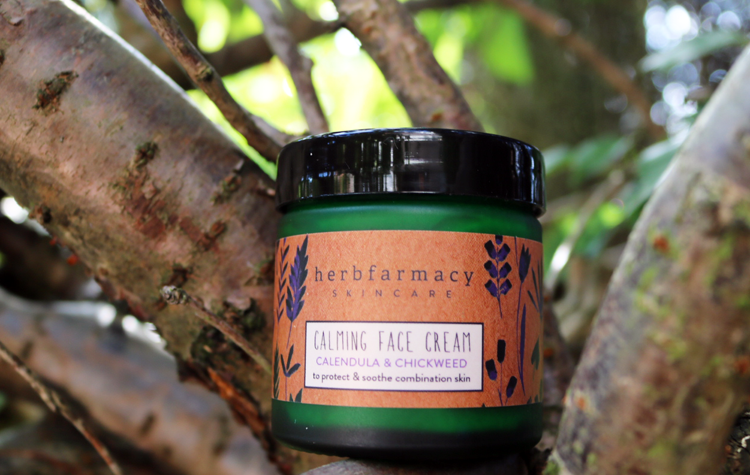 Packed full of some of the best natural ingredients for repairing and calming irritated skin, it utilises the likes of Calendula, Comfrey, Jojoba Oil, Beeswax and Shea Butter, to give you a multipurpose product that just works. 100% organic. Formulated especially for combination skin, this jar of Calming Face Cream helps to bring balance and moisture where its needed the most. Key ingredients include Calendula, Chickweed, Marshmallow and Avocado Oil, which leave my skin feeling soft and protected against the elements. Great as a day cream, I've found that I need to use less of this than I do with other more mainstream moisturisers as it's quite a concentrated formula, yet sinks into the skin easily. 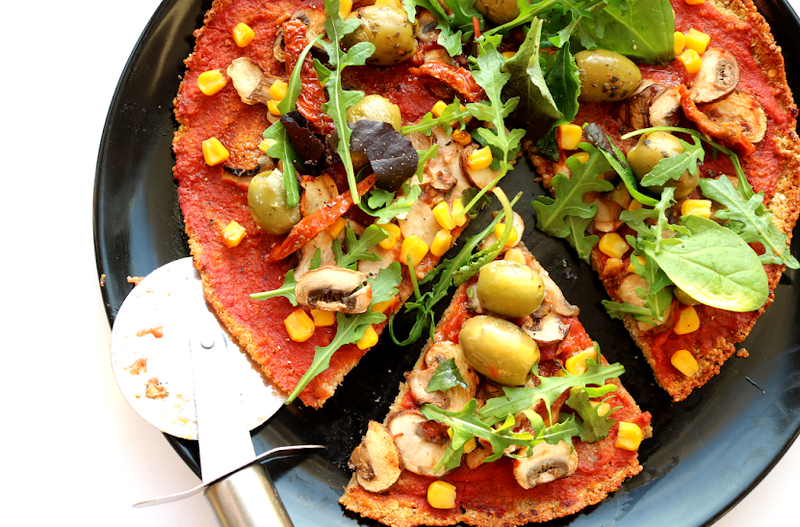 82% organic. 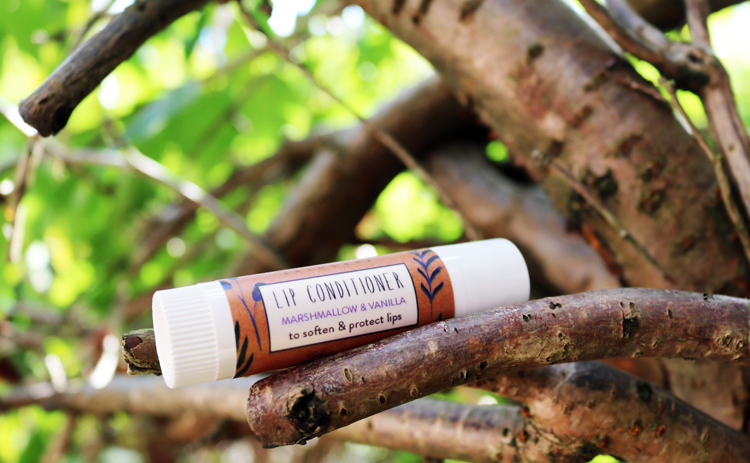 As today is officially the first day of Autumn and the temperature is now starting to drop, a good quality lip balm becomes more important than ever for stopping dry, cracked lips. This one from Herbfarmacy is a firm favourite of mine and I must have gone through at least three or four tubes of it over the years. It's super moisturising thanks to a combination of Beeswax, Marshmallow and Sunflower Seed Oil, Cocoa Butter, plus it tastes like vanilla ice cream - yum! 100% organic.